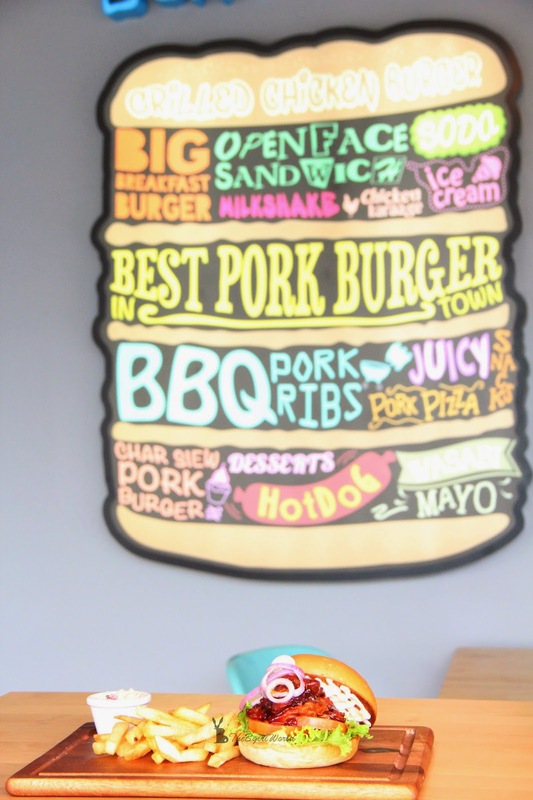 When someone says "burger cafe" ,what do you think of? Black/ darker color /woods interior decoration or fast food style? 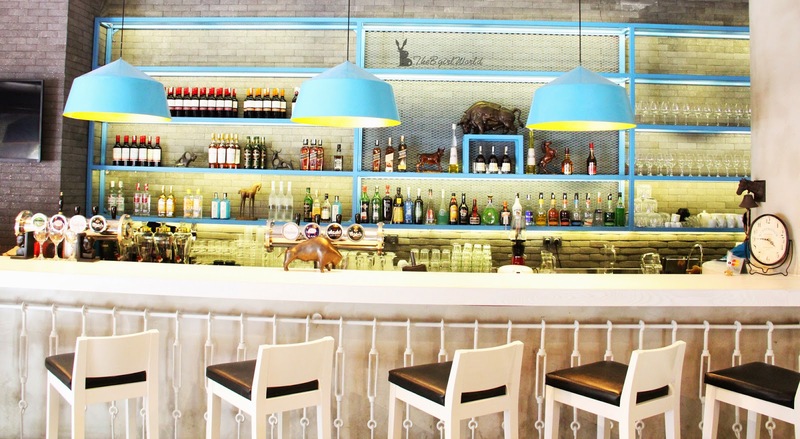 When i stepped into Buns & Meat, fall in love with their ambiance immediately! 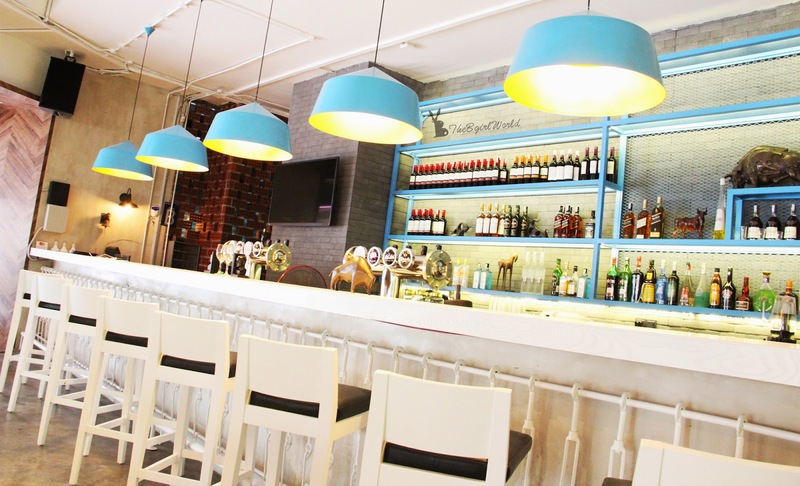 Unlike with other burger cafe, Buns & Meat is using light and blue (always is the tranquil and peaceful color match) as their color themed,the cool hues evoke natural beauty and the feeling of the sky and ocean, simple but modern stylish decoration to makes you feel relax and comfortable. 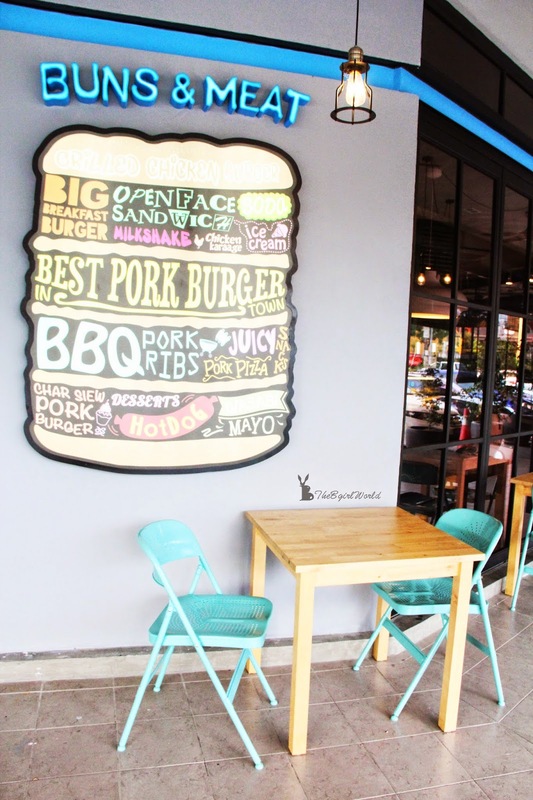 Buns & Meat is located at Lakefields, Sungai Besi, first row face to the main road, very easy to find. 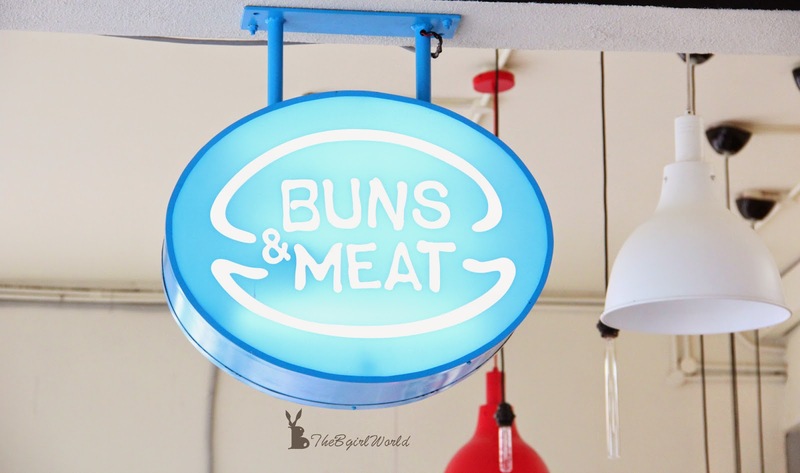 Buns & Meat offers very soft and fresh homemade buns with high quality meat to customers. 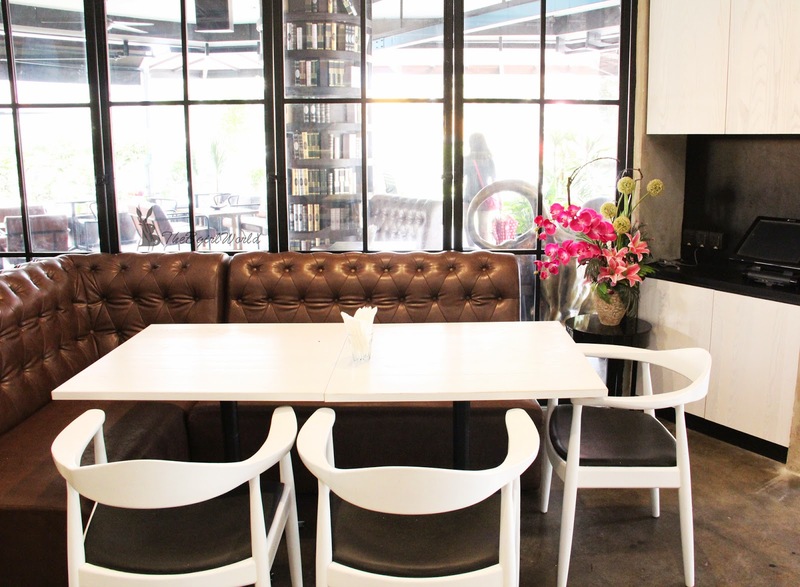 There are few different styles like simple dining table, comfortable lounge sofa and long bar. 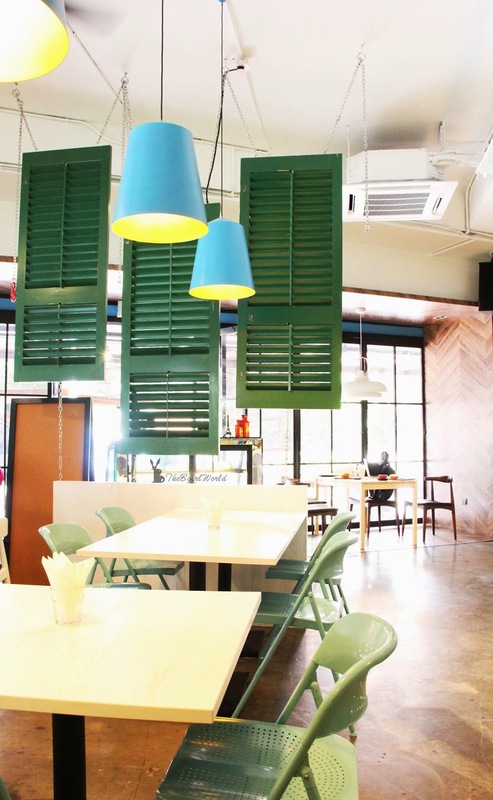 Such a perfect cozy places for family and friends gathering. 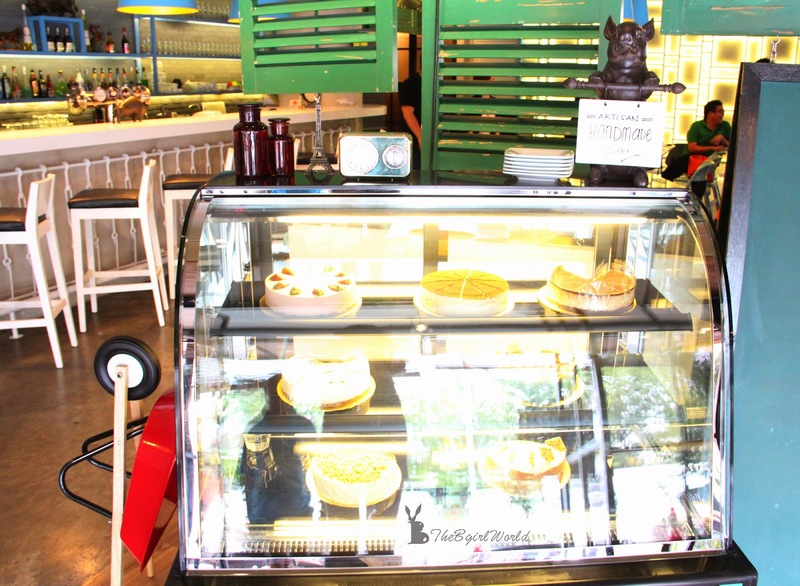 Robin Lim, the founder of Bites Cafe and also Buns & Meat is introducing the menu with more than 20 items like burgers, hot dogs, pasta, pork ribs,pizzas, cakes,soup and salad. Unexpected you can find different types of liquors in a cafe, Buns & Meat provided beers, whiskeys, tequilas, gins, rums, vodkas, wines, mocktails and cocktails to make sure customers have different dining experience. 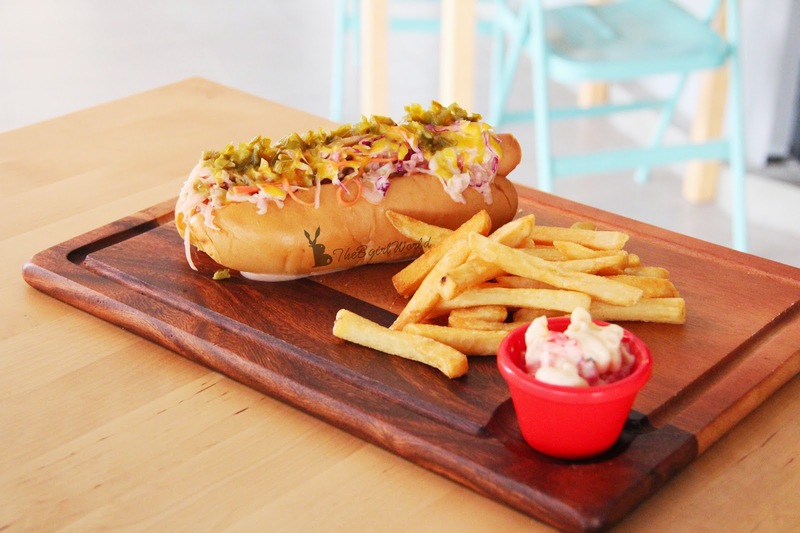 Imagine you order a burger/ hotdogs and drink a cold beer in a hot afternoon? Well, i can tell you the feeling is superb! LoL! 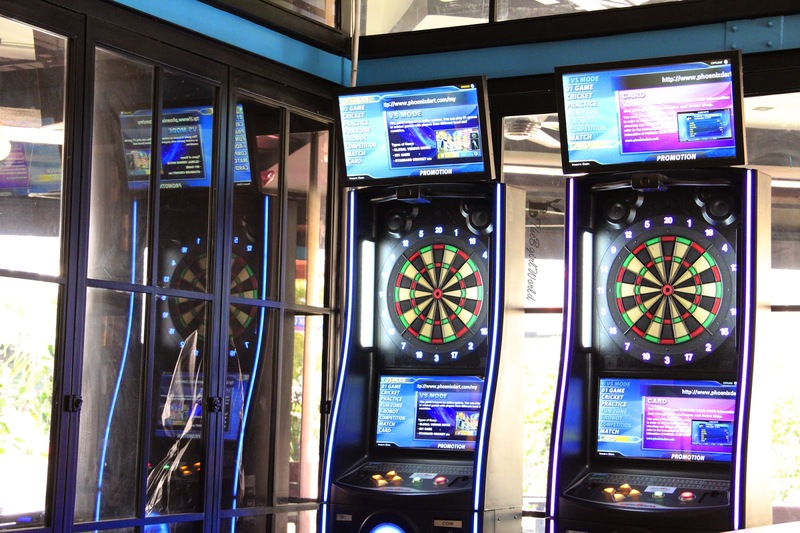 Besides of liquors, you can enjoy to play dart games here, good idea for customer when feel bored to wait their friends. 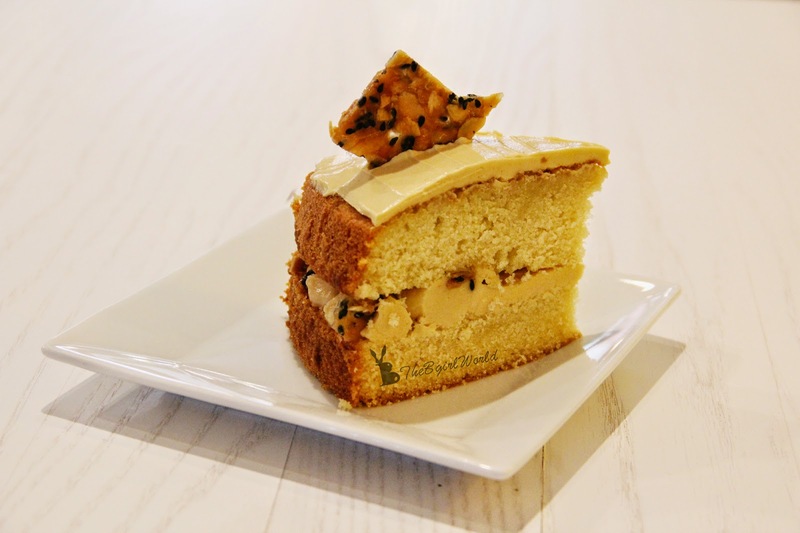 Let's start with the first tempting meal! 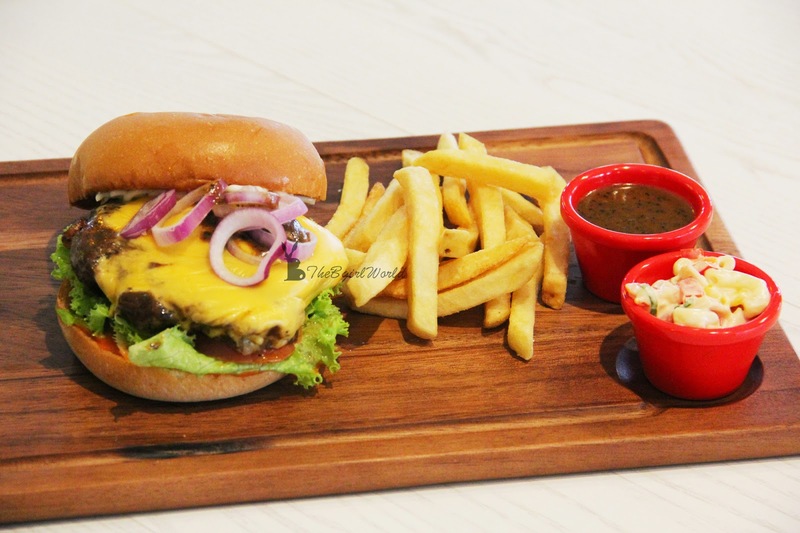 All burger bun special made according to Buns & Meat personal in-house recipe, it is very soft, buttery and slightly sweet. 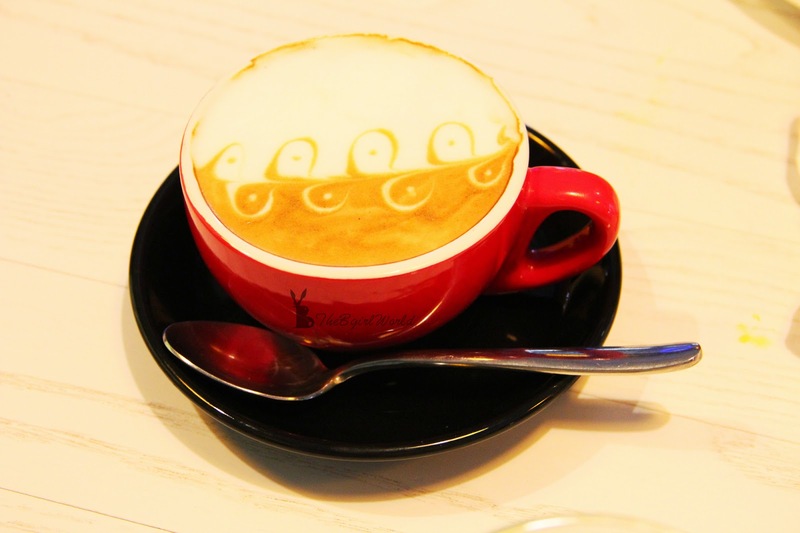 Definitely i love it so much, great to be eaten if only bun, taste so nice! 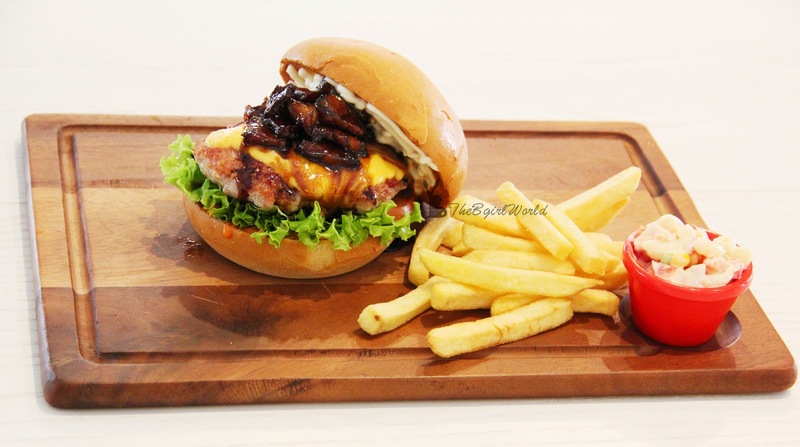 Buttery soft bun topped with juicy pork patty,cheese, savory sweet roasted char siew, tomato and lettuce with mayonnaise. Usually i don't eat fries when served along with burger because fries always taste like buy from supermarket,hmm.... spoil my mood even though burger is good. I have to mentioned that Buns & Meat's fries are better =) Char Siew Burger tasted a bit salty if you eat it separately, correct way to eating a burger is hold burger correctly and take a bite, you should eat all ingredients into your mouth and you would enjoy that delectable char siew burger. 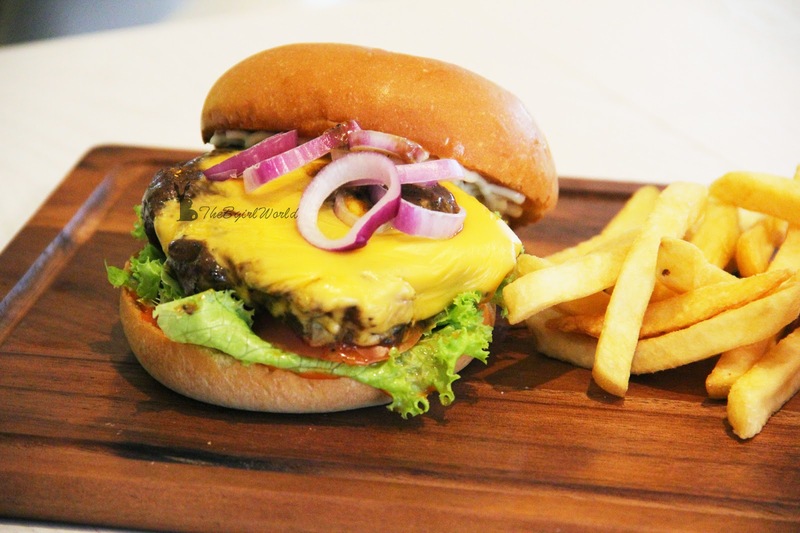 Another Buns & Meat's signature burger, we all go a little crazy for this! 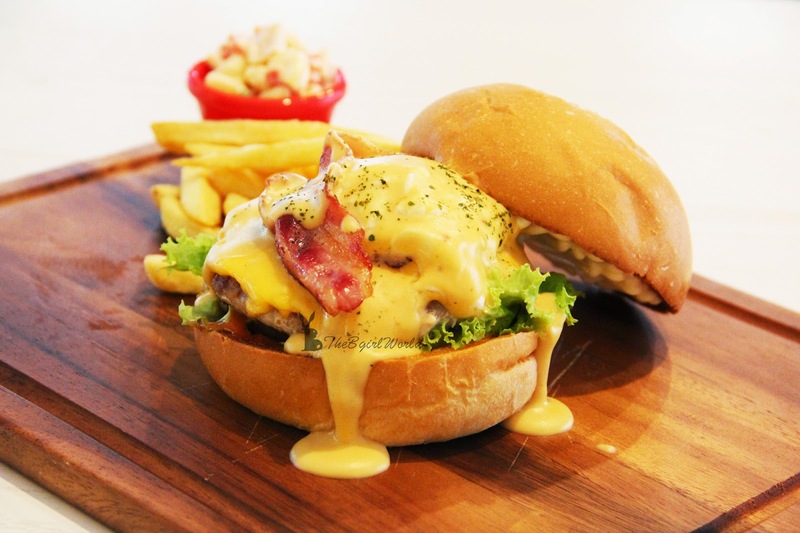 Pork patty topped with a poached egg and crispy bacon, covered with juicy savory cheesy sauce, mess but delicious!When i eat this, i feel that cheesy watery egg mix with buttery bun and pork, heavenly delicious!!!! My most favourite burger at Buns & Meat. There are pork ribs marinated with Korean spicy glaze,topped with fresh lettuce ,onions and served with pasta and ham salad. No worries, it is de-boned pork ribs! 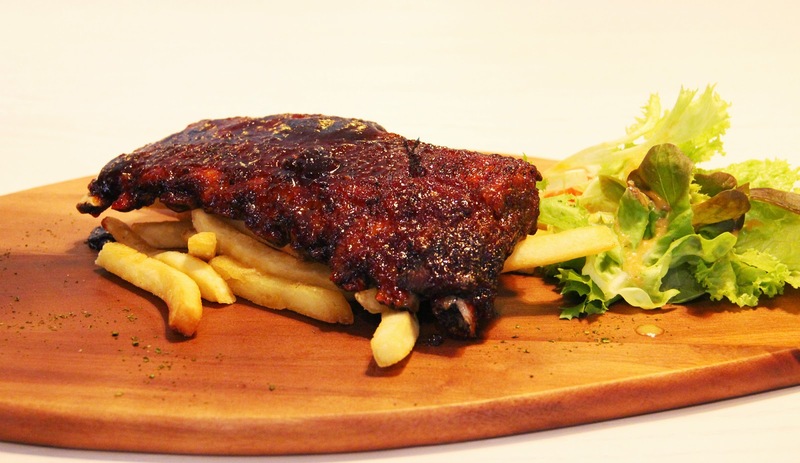 For those who dislike the texture of patty meat, you can try this juicy and tender pork ribs. 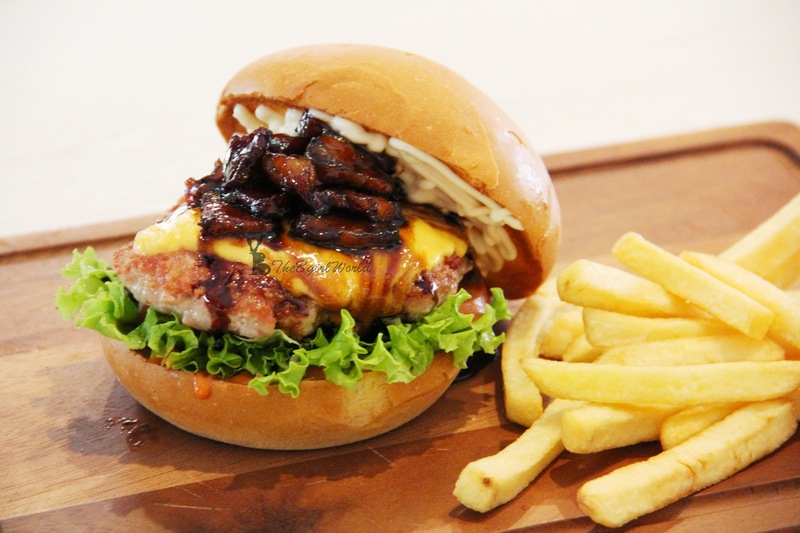 If you are non pork eater, you can goes to this Chicken burger. 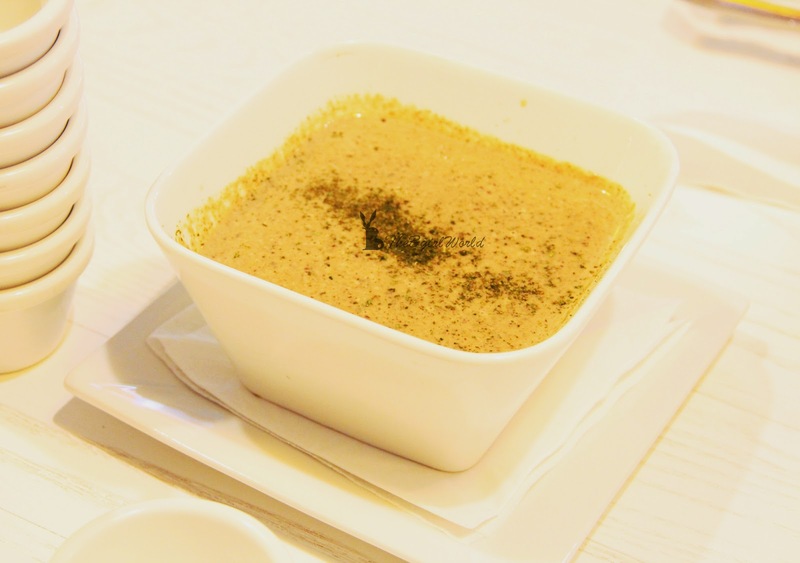 Chicken lovers must know how tender made of chicken thigh, aww~~~ juicy! 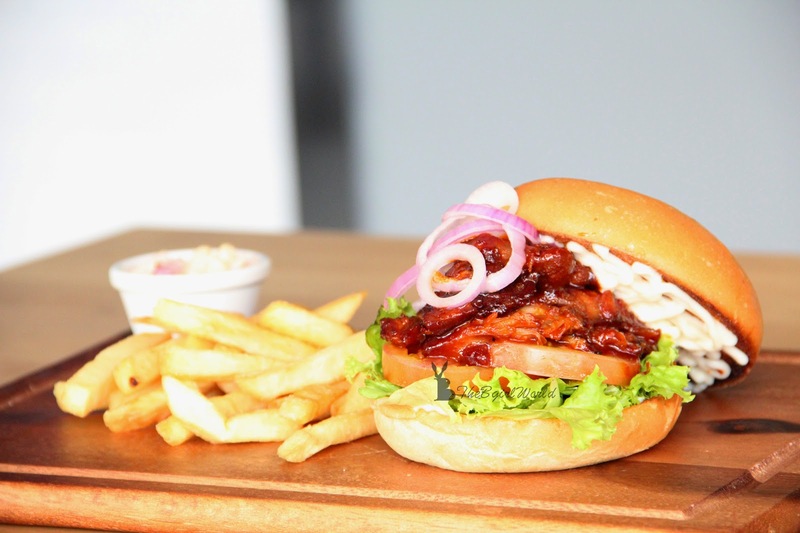 Perfect match with black pepper sauce, sandwiched with fresh lettuce and onions, fries, pasta and ham salad. 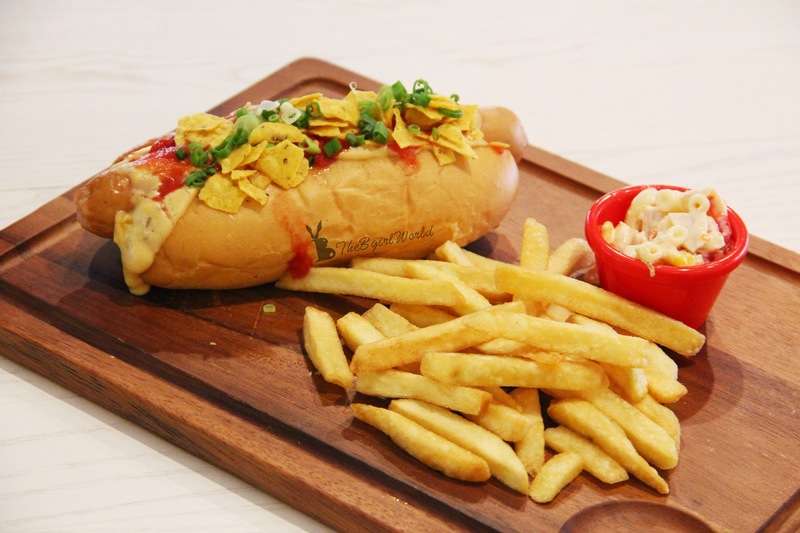 Buns & Meat also offer variety of hot dogs, hot dogs can come in a variety of styles with many different mouthwatering toppings or special cooking methods. 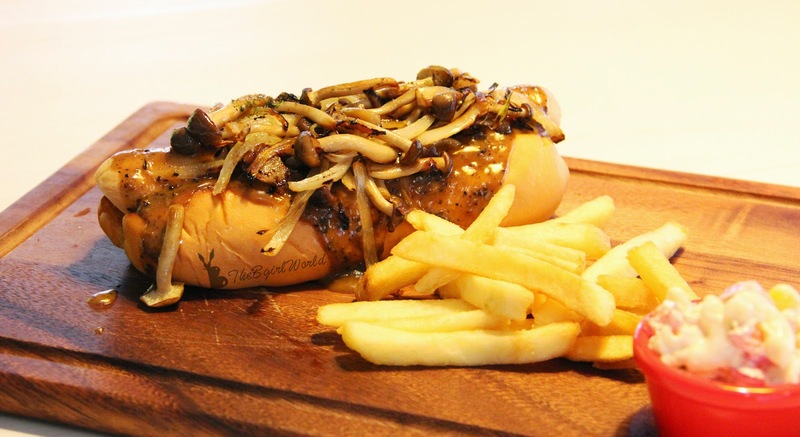 Buns & Meat is using good quality german sausages, juicy and tender and be great on a bun with some grainy mustard and fried onions. 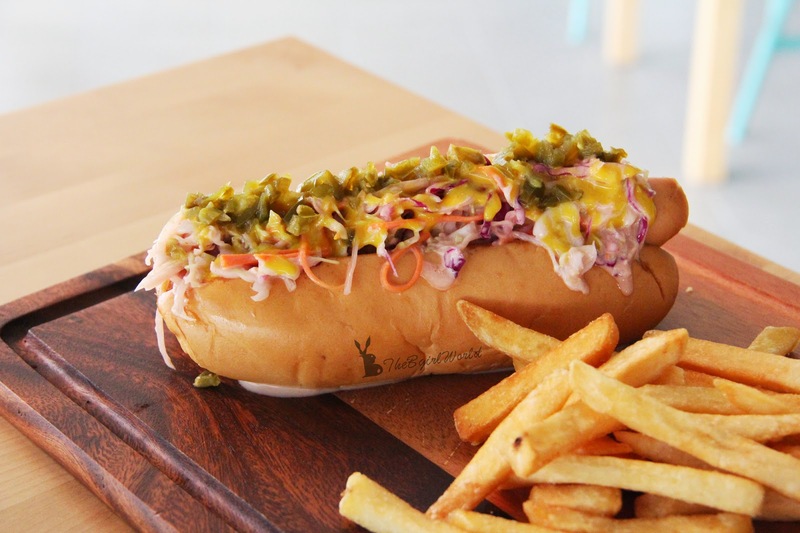 Pork sausage, coleslaw, mustard, jalapenos, fries, ham salad.The taste is further enhanced with additions pickled jalapenos,looks mess but is a good combination meal between meat and vegetables. 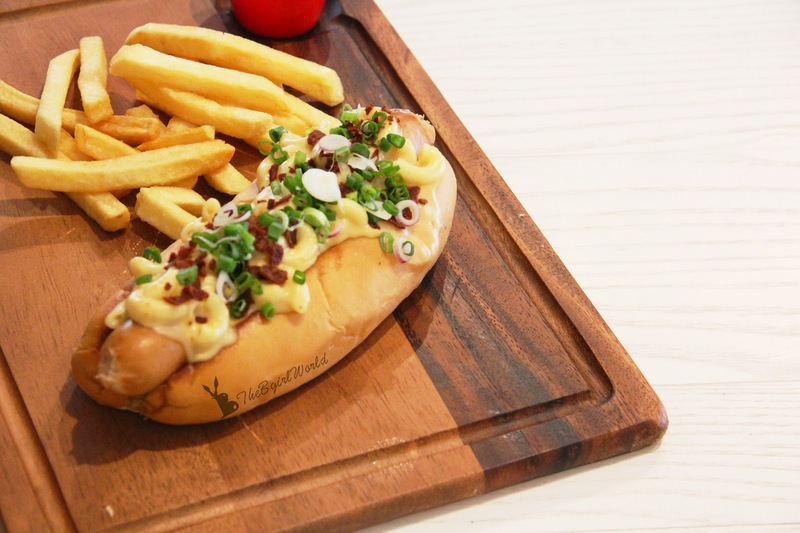 Sandwiched with pork sausage and topping is macaroni cheese, crispy bacon slices.Served with fries, ham salad. A bit salty crispy bacon can balance up the creamy cheesy macaroni. 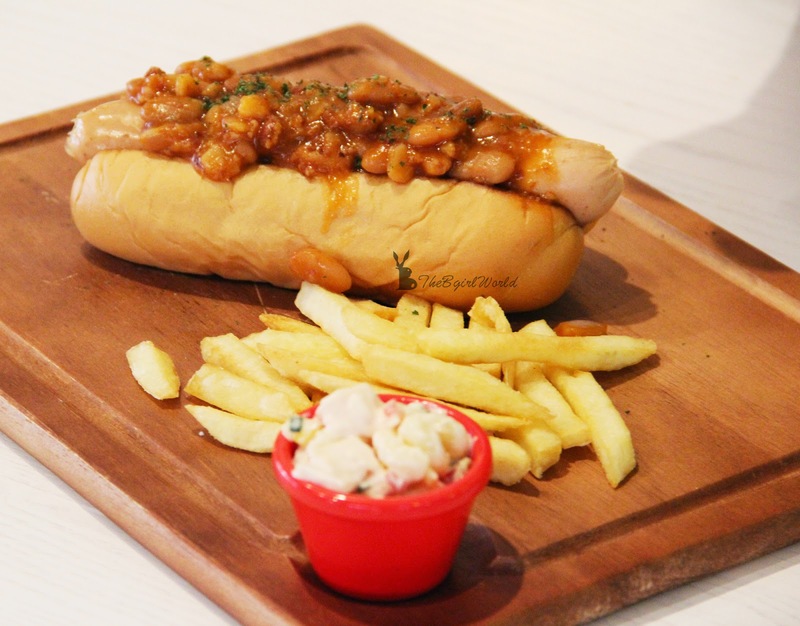 I am pretty sure non of you can come out this idea- pork sausage + baked bean, another interesting creation by Robin's chef . Buns & Meat always think outside the box, so they bring you an awesome Ribs with spicy Korean sauce. Oh god~ tantalising ribs marinated with spiced glaze, wonderful combination. 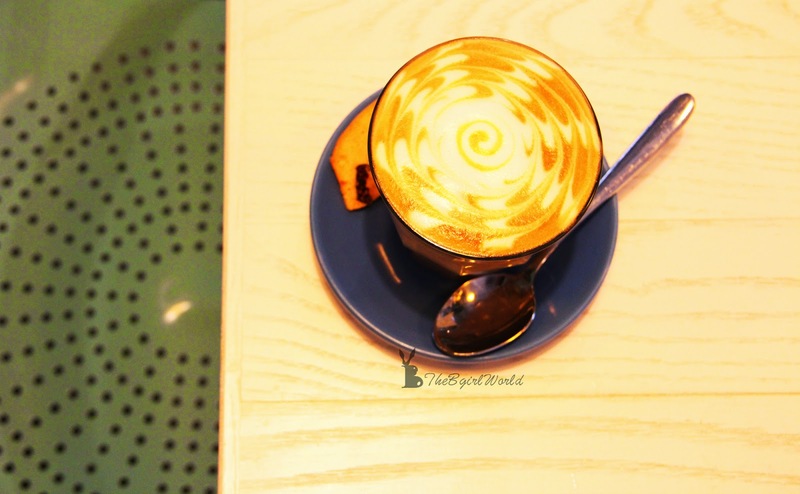 Strongly recommend to you! 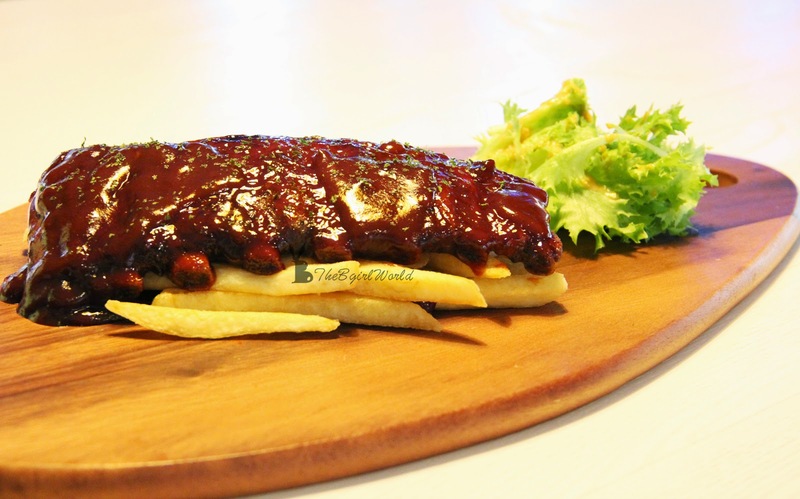 Traditional BBQ cooked with sweet, rich sauce which makes these ribs so tender that the meat literally falls off the bones. 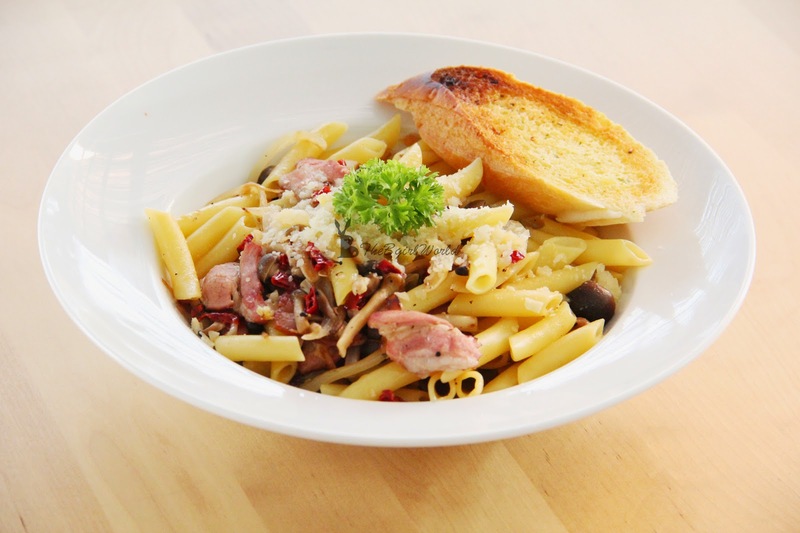 For those who are not looking for heavy dish like ribs or burgers, aglio-olio with sauteed mushroom and bacon might be your another choice. 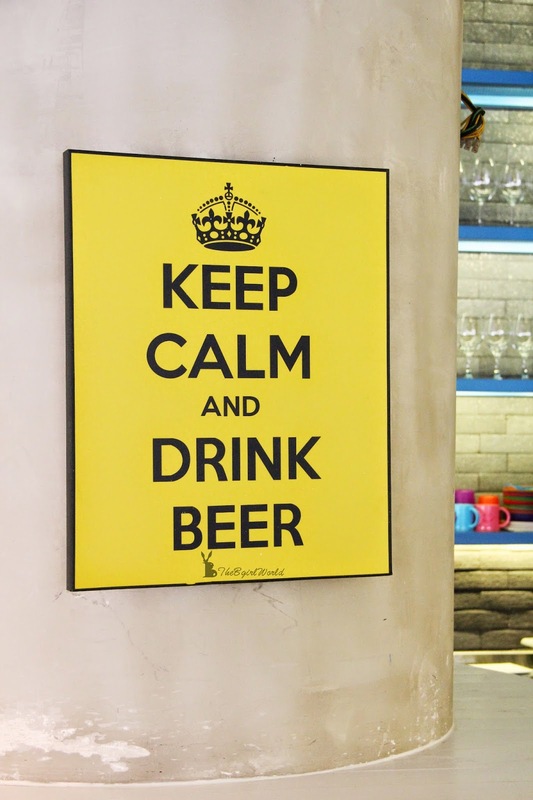 Hmm...i think it would be the perfect match with beers/liquor! 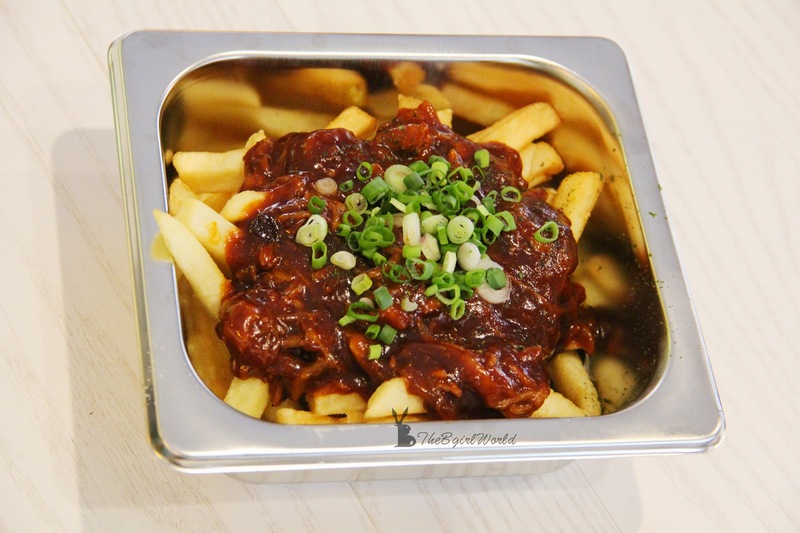 Dip fries in sweet and savory BBQ sauces, taste so much enhanced when fries soaked in BBQ sauce, thumbs up! Alright, that's all for the tempting pictures. Gosh! 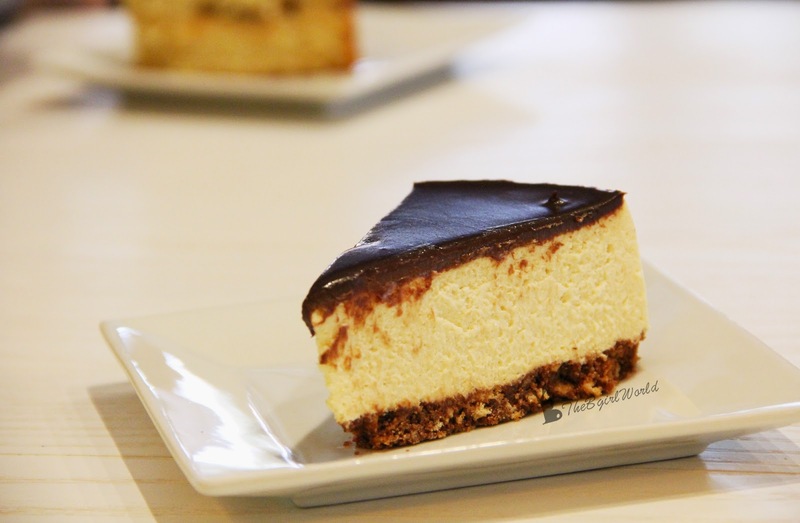 i feel so so hungry now (time is 2am) when i wrote it. Runny mess burger is "floating" in my mind now LoL! I do recommend Buns & Meat to you, it is worth to try!